As the capital of the island, this is one place guaranteed to impress. The amazing view of the old town and port from the sea or air is nothing in comparison to the beauty and vibrancy found being amongst this traditional town. Full of culture and life, Ibiza town juxtaposes the old with the new. The ancient fortified upper town has been declared a UNESCO World Heritage Site, made up of well-preserved narrow streets, over powering Renaissance parapets and unyielding watchtowers. 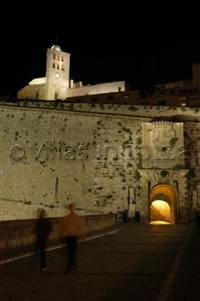 The most dramatic approach to Ibiza is across the drawbridge and through the Portal de Ses Taules (Gateway of the Inscriptions). This opens on to the elegant Plaça de la Vila, surrounded with shops, restaurants and the small but interesting Museum of Contemporary Art. To the west, the newly reopened Archeological Museum and the Puig des Molins necropolis display relics left by the island’s many past occupants, from the Carthaginians to the Phoenicians and Romans. By the ’60s, though, the main invaders were hippies, known locally as peluts or ‘hairies’, securing Ibiza’s reputation as a haven for the counterculture. These days it’s the clubbers who have taken over the streets of the Sa Penya district with thriving bars, nightly parades for the big clubs and an endless display of self indulgence, although the clubbing here tends to be tamer, and substantially more expensive than that found North at San Antonio. A climb up steep cobbled streets presents wonderful views await from the castle complex and the Gothic-baroque Catedral de Santa María which is dedicated to Holy Mary of the Snows – an odd choice for an Island so synonymous with sun worship. A deep tan is the main accessory, and sunbathing is a spectator sport in Ibiza. The nearest beaches to Ibiza Town are the family-friendly Talamanca and Figueretes, but the party beaches get as crowded as the dance floors. For decadence head south for Platja d’en Bossa or Ses Salines, while Platja Cavallet is for those who want to reveal all. Ibiza town provides a fascinating mix of the old and the new, the tranquil calm of the Catedral de Santa María clashing coldly with the partying of the Sa Penya district. 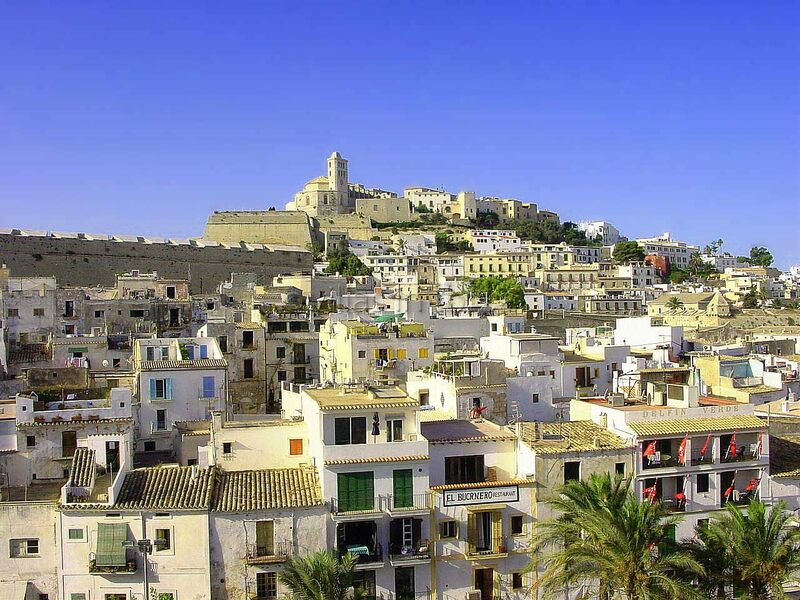 The feel of the town changes greatly with the sunset, so decide what it is you want from your visit to Ibiza Town, and visit at an appropriate time.